Another book I read while stricken with the flu is Increase Essentials by Lawrence John Connor, a short and easy read that some consider to be the definitive book about nucs — it’s comprehensive. It’s mainly about increasing hives by creating splits and nucleus colonies from established hives. I don’t think beginner beekeepers or backyard beekeepers who are happy with two or three hives need to concern themselves with it. 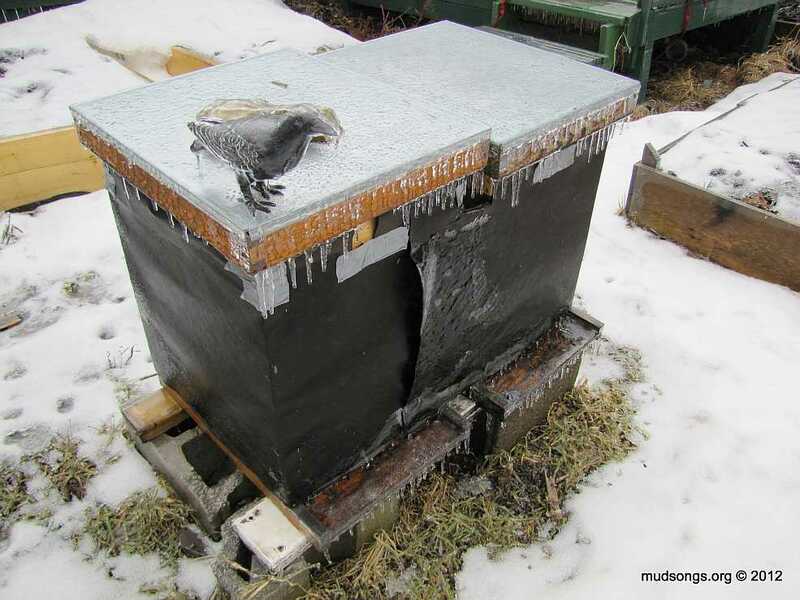 Laidback beekeepers who want to create nucs for themselves but don’t feel the need to earn a PhD while they’re at it can simply read Why every beekeeper should have a nuc at Honey Bee Suite. I didn’t read every single word of the book (I did some skimming), because I don’t need to know everything it covers just yet. But I do plan to expand my four hives to eight this summer and continually expand every summer after that as I secure more land for my hives. That means I eventually need to learn the basics of creating nucs and rearing mated queens for the nucs. I’ll take on queen rearing next year. This year I’ll start with making my own nucs. Most of the following notes (and there aren’t too many) address swarming and queen mating issues. To delve into the main details of the book would take too long. Suffice it to say there is a huge amount of information in this small book, and it all seems sound. I will likely constantly reference Increase Essentials when I decide to create mating nucs and expand my hives further next year. I recently read Beekeeping For All (8mb PDF), by Abbé Warré. He’s the guy who designed the “People’s Hive,” also known as the Warré hive. It’s a top bar and therefore foundationless hive with small, square shaped hive boxes, no top entrance and a quilt box on top to absorb moisture. Boxes are added to the bottom of the hive, not the top — the bees build comb downwards as they would in nature. Honey is harvested from back-filled brood comb at the top of the hive. Warré called it the People’s Hive because it’s supposedly cheap and easy to build and maintain. The beekeeper need only add boxes to the bottom to prevent swarming, which is done without opening the hive or disturbing the brood nest. The Warré hive, perhaps more than any other hive, emulates the conditions of a natural honey bee hive. From what I can tell, the hive is designed to minimize interference from the beekeeper. The only time it’s opened is when honey boxes are removed from the top (at most, twice a year). That fact, along with the absence of a top entrance, helps concentrate the queen’s pheromones throughout the hive, which supposedly results in calmer bees. The regular rotating out of old comb from the top also means the brood are more likely to be healthy because they’re always raised in new, clean, natural sized comb. Another key feature is the small square sided hive boxes. The height of each box is slightly less than a typical Langstroth, but the sides are each 30cm long (about 12 inches). The square shape allows for more even heat distribution and requires less work from the bees. Warré also claims that bees in a smaller, more natural sized brood chamber consume less honey over winter and are therefore less likely to starve before spring. I’m not yet convinced that any kind of foundationless hive will do well in the exceptionally wet climate of St. John’s, Newfoundland. I’ve only been at this for, what, 611 days, so I still have more than a lot to learn. But some aspects of the Warré design, such as the small brood nest area, seem to make more sense than the conventional Langstroth design, and I’m tempted to integrate them into some of my own hives. I don’t agree with all of Warré’s claims. In some cases that’s because I don’t have the experience to know what’s what either way. In other cases I can confidently disagree because I know his observations are based on his local climate in France that has no correlation to my local climate where the bees do different things at different times of the year. Nevertheless, I think he came up with a thoughtful design and method that might appeal to beekeepers who aren’t so intent on the consistent hive manipulation that’s synonymous with many beekeeping practices today.